Whether you're on your first round of Whole 30 or fifteenth, we could all use some meal plan help every now and then. 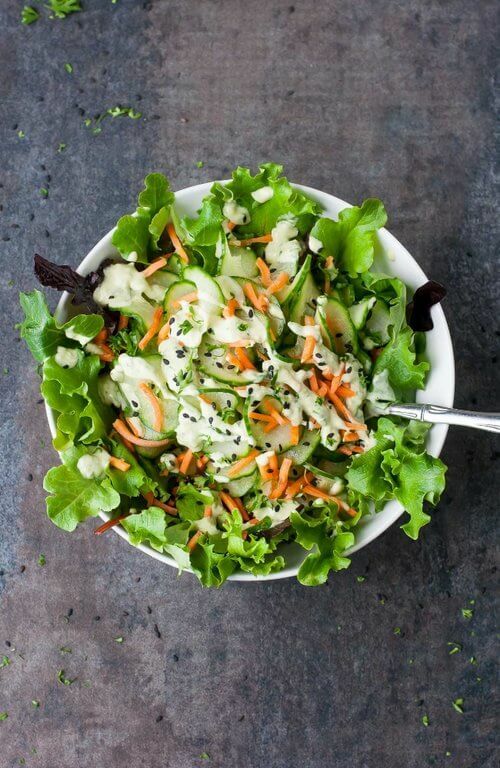 This page contains a completely free, thirty day meal plan with corresponding weekly shopping lists. 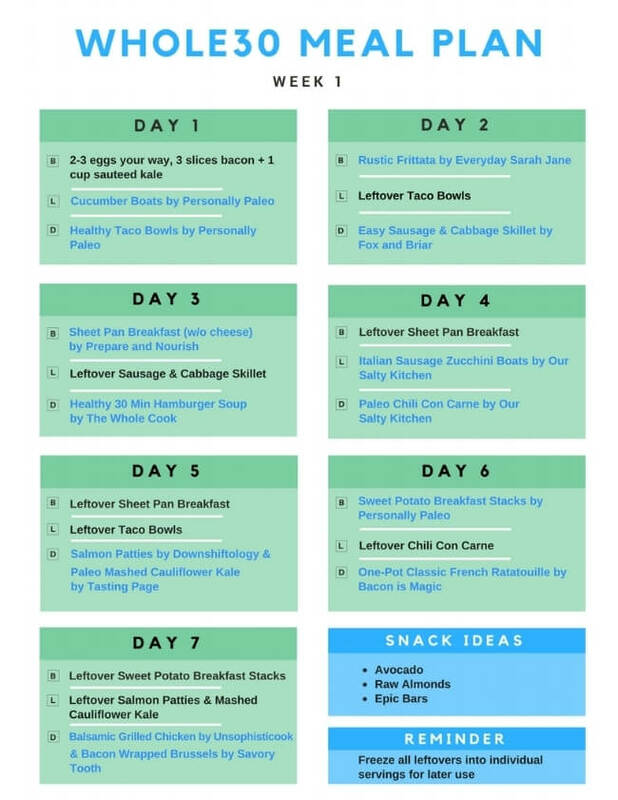 It's easy to get burnt out in the kitchen every day so this meal plan has an emphasis on freezing leftovers for later use and cooking no more than 2 meals a day (with the exception of day 1.) Even then, most of these are perfect for freezing so you can prep even further in advance if you'd like. It's important to know, this meal plan is designed for two people. If you are serving more than 2 people, you won't have the number of leftovers I've accounted for so please be sure to double the recipes or plan separate meals. 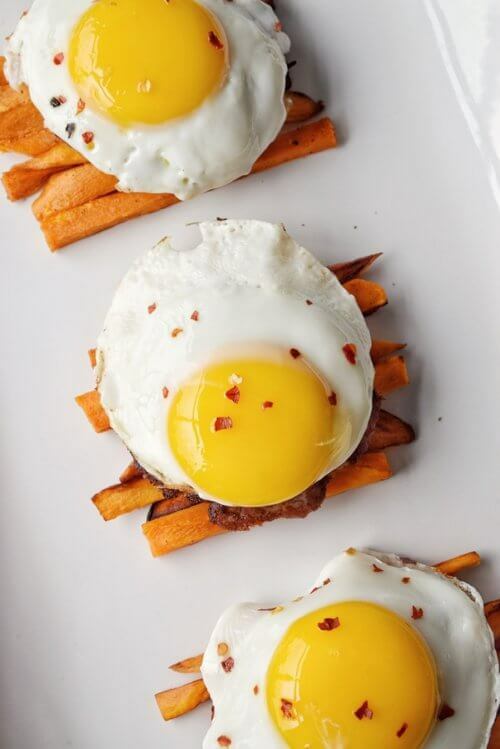 Clueless on what a Whole 30 is? Read all about this program here. Have a favorite meal not included in this? Tell me in a comments below! Questions on this meal plan or something else? Ask me below or send me a message with the form on this page. The clickable file below contains 8 pages of meal plans/shopping lists. Each meal plan contains clickable links directly to a specific recipe mentioned. All links are in blue font to easily identify which is clickable. 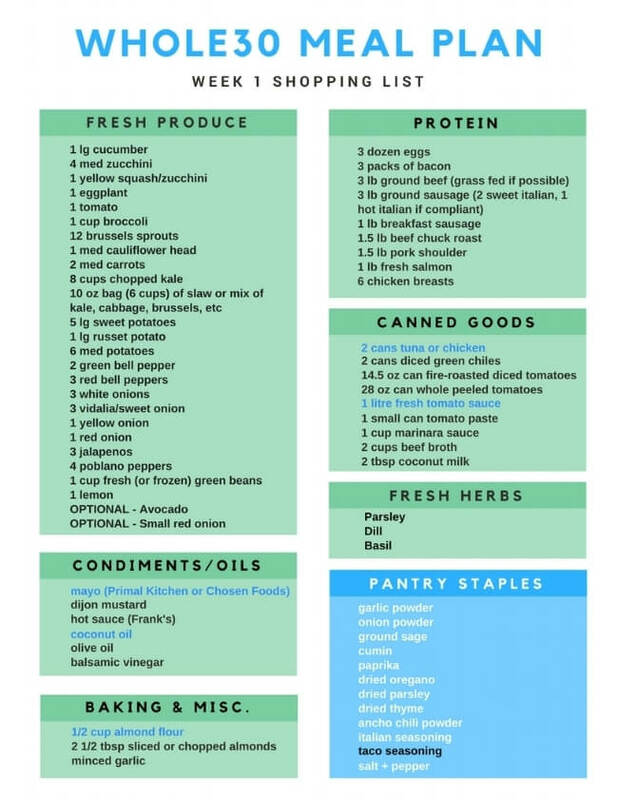 Shopping list items also contain links to my favorite Whole 30 approved products or brands available. If you can't easily find the ingredient in store or make it on your own, try using my recommendations! These links are also identified as blue, with the exception of any in the "Pantry Staples" section, which are black. REMINDER: download the meal plan at the end of this post, NOT this preview, so you have access to the recipe links! I owe a special thanks to all the recipes contributed from fellow recipe creators, bloggers and authors! I've reviewed each and every recipe included in this meal plan to ensure it is compliant with the program. Here's a preview of some of the delicious recipes you'll find as part of this 30 day Whole30 approved meal plan. 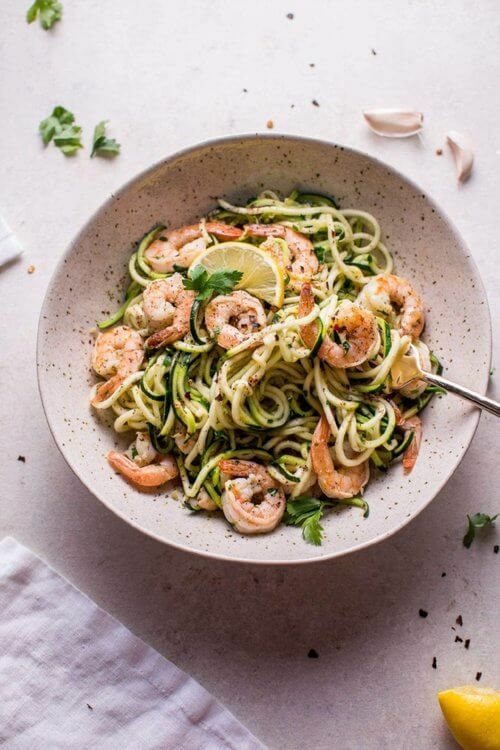 A final reminder: This meal plan is designed for two people. If you are serving more than 2 people, you won't have the number of leftovers I've accounted for so please be sure to double the recipes. Alright, alright. Enough teasing. Here's what you've been looking for! 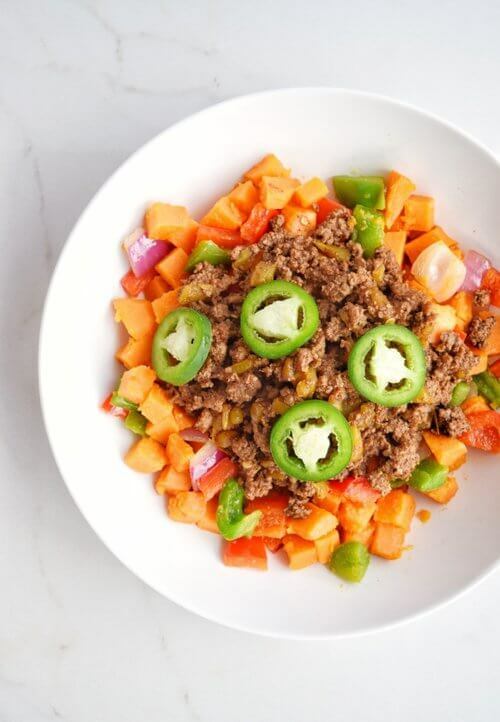 Click below for your FREE Whole30 30-Day Meal Plan and Weekly Shopping Lists! CLICK HERE TO DOWNLOAD YOUR FREE WHOLE30 MEAL PLAN!